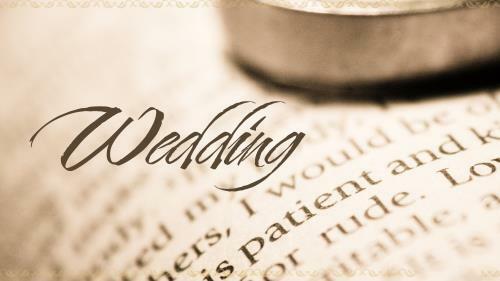 Summary: This is a brief wedding ceremony utilizing the Book of Common Prayer with an origional wedding message. 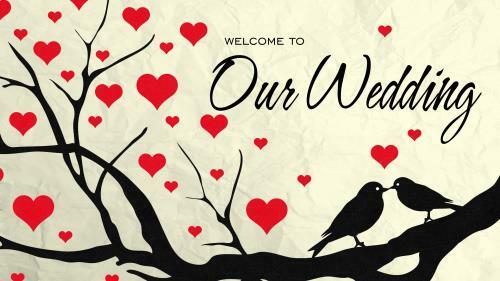 On behalf of our Lord Jesus Christ, and _____ and _____, I welcome you here this afternoon as we witness and celebrate the love found between these two persons. Please remain standing as I read a couple scriptures describing the beginning of love. "So God created people in his own image; God patterned them after himself; male and female he created them. Then God looked over all he had made, and he saw that it was excellent in every way." "And the Lord God said, “It is not good for the man to be alone. I will make a companion who will help him.” So the Lord God formed from the soil every kind of animal and bird. He brought them to Adam to see what he would call them, and Adam chose a name for each one. He gave names to all the livestock, birds, and wild animals. But still there was no companion suitable for him. So the Lord God caused Adam to fall into a deep sleep. He took one of Adam’s ribs and closed up the place from which he had taken it. The Lord God made a woman from the rib and brought her to Adam. This explains why a man leaves his father and mother and is joined to his wife, and the two are united into one." Lord, we thank you for the gift of companionship and the gift of love. We are here today to celebrate the love you have given to _____ and _____ to share together for the rest of their lives. Lord, be present with us here today and especially be present with them as they make covenant through the exchange vows and become one flesh. Help them to remember this special day and the experience of your presence as the love between them is sealed. 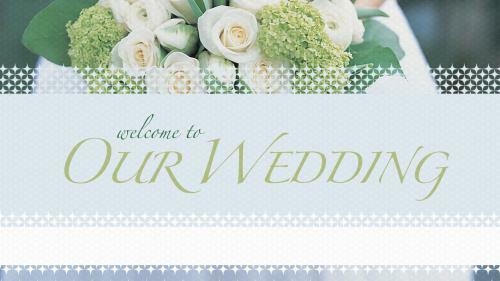 We welcome you and we honor you during this wedding service. It is in your name we pray, Amen. Brian, Alicia, Christ calls you into union with him and with one another. I ask you now in the presence of God and of this assembly to declare your intent. _____ and _____, today has become a holiday, which will be celebrated every year for the rest of your life. This will probably be the only time you have the power to declare a certain day a holiday which will be observed by others. This in not just a personal holiday, nor a national holiday, but a world holiday. It will be celebrated wherever you are as waiters sing, “Happy Anniversary,” or your children throw surprise parties for you. What you are celebrating on your anniversary is the biggest, most important decision you have ever made. It is a decision that lasts a lifetime and which will affect every other decision you will ever make. The decision is the giving of your life to the one you love. Some people ask the question, “Why would two people knowingly enter the presence of God, call together all their friends and family, spend all sorts of money, and surrender their life to someone else?” The answer, I believe, is love. I want to read some scripture from Isaiah 43:1-4. But now, O Israel, the Lord who created you says: “Do not be afraid, for I have ransomed you. I have called you by name; you are mine. When you go through deep waters and great trouble, I will be with you. When you go through rivers of difficulty, you will not drown! When you walk through the fire of oppression, you will not be burned up; the flames will not consume you. For I am the Lord, your God, the Holy One of Israel, your Savior. I gave Egypt, Ethiopia, and Seba as a ransom for your freedom. Others died that you might live. I traded their lives for yours because you are precious to me. You are honored, and I love you. This is a brief wedding ceremony utilizing the Book of Common Prayer with an origional wedding message.